The main reason why people from other European countries, including Croatia, choose to plan a dental trip to Romania is because the same dental treatments are more affordable here. 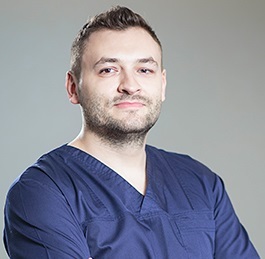 Romania is becoming an increasingly popular destination for medical and dental tourism in Europe and many Croatians are among the tourists who choose to combine a vacation in Romania with solving some of their most pressing dental problems. Romania is not a faraway destination, especially when traveling from Croatia. Croatians travelling to Romania will have the chance to discover a uniquely beautiful country while our dentists in Bucharest will make sure that all your dental problems are solved. 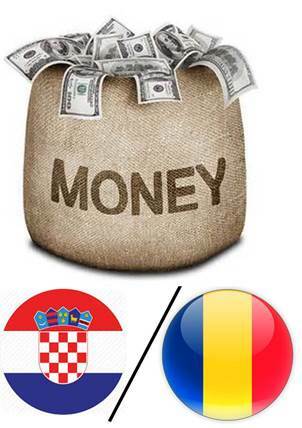 Romanian dentists offer high quality services for a fraction of the prices found in other European countries. The low prices do not influence the quality of the overall work or materials used in the construction various dental veneers, crowns and others. Dental implants are among the most demanding and expensive dental treatments and, according to the materials used, the price can be higher. 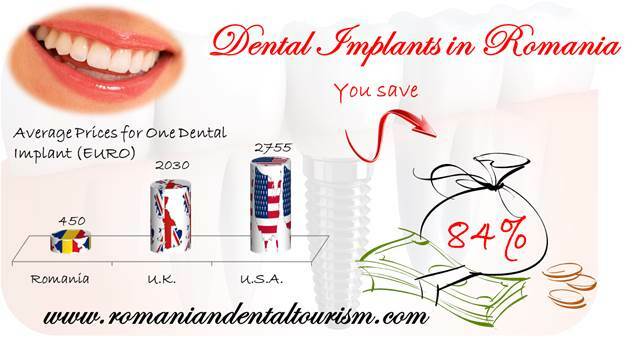 In Romania, the average price for a dental implants using crowns made from the best possible materials (porcelain) have a maximum price of 350 euros. The same price also applies for porcelain veneers. In Croatia, dental crowns made from metal start at almost 100 euros and can reach as much as 170 euros for basic materials. The prices are higher for porcelain veneers and crowns. If you can plan your trip to Romania in advance, low fare airline companies have numerous offers for flights from Croatia to Romania. The approximate value of one one-way airline ticker per person is situated at around 120 euros. Accommodation in Romania is very affordable and four stat hotels in Bucharest welcome foreigners at only about half the price in other European capitals. The price per night at a four star hotel in Bucharest is roughly the same as a three star hotel in Zagreb, at around 40 euros per night. Transportation is also affordable in Bucharest, where a one-way bus ticket is 0.28 euros and 0.30 euros per kilometre for taxi rides. Restaurants are plentiful in the Old Town in Bucharest and tourists can choose from traditional or international cuisine. Our dental clinics in Bucharest are located in highly accessible areas and if you choose to plan a dental tri to Romania, our staff will make sure to schedule your appointments so that you will also have time to visit some of the most interesting places in Bucharest. Feel free to contact our dentists if you want to know more about dental prices in Romania and if you need help in planning your trip to Romania.